Degeneration of the Myelin Sheath is a chronic inflammatory autoimmune process of the central nervous system that affects the brain, spinal cord and optic nerve. In this process, the immune system attacks the covering of the nerves, called the myelin sheath. Consequently, the sheaths are damaged, and the damaged areas develop scarring that leads to either distorted communication or lack of communication between the nerve endings. Some 350,000 people in the United States have symptoms of myelin sheath degeneration. It affects twice as many women as men, and the onset is usually between ages of 25 and 40. Please scroll down for a list of some of the main symptoms for myelin sheath degeneration and multiple sclerosis. Highly Recommended: The first thing we recommend for anyone who is experiencing symptoms of multiple sclerosis or myelin sheath degeneration, is to have a hair mineral analysis test done. A hair analysis can determine which heavy metals are overloading your body and measure the levels of each toxic metal as illustrated in a simple bar graph showing acceptable and unacceptable reference ranges. These heavy metals replace the normal, balanced molecules in the myelin sheath, leading to an increase in free radicals. The free radicals damage the myelin sheath, resulting in multiple sclerosis. The hair mineral analysis also tells you which essential minerals your body is needing more of, which it needs less of, and which important mineral ratios are imbalanced due to toxic elements. For example, MS patients usually have a severe copper deficiency. 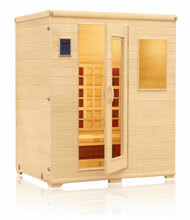 Copper is an essential element in the metabolism of dopamine, which is a neurotransmitter. MS patients also tend to have elevated manganese levels. Cobalt deficiency is another factor in multiple sclerosis. The hair tissue analysis can also provide valuable insight into your metabolism and what dietary changes might be most helpful. For more information on the hair tissue mineral analysis (HTMA), scoll down the page or click here. Also visit our page Is it Multiple Sclerosis or is it Toxic Metals? Symptoms of myelin sheath degeneration depend on what part of the nerves have experienced demyelination. The most common symptoms or MS are listed here below. Keep in mind that toxic heavy metals like mercury and lead (which do cross the blood/brain barrier) can cause the same type of symptoms as associated with multiple sclerosis. See our page Is it Multiple Sclerosis or is it Toxic Metals? If you have a neurological disorder, it is crucial that you work with a good medical specialist. It is also crucial that you work with holistic doctor to address the underlying causes of your illness. According to Dr. Linda Page, a naturopathic physician, all neurological disorders must be comprehensively addressed – a little therapy does not work, but long lasting remission is possible. Many patients with disorders targeting the myelin sheath have remained relatively symptom-free by following a comprehensive natural approach, such as the one described below. The Better Brain Book provides a very practical guide to treating neurological conditions with natural and safe remedies that have abundant scientific support. The nutritional and oxidative therapies that he recommends are part of a growing wave of scientifically based, complementary treatments. Vitamin D is known as the “sunshine vitamin”, and researchers have demonstrated that on average, people with myelin sheath degeneration are severely vitamin D deficient. This may explain why myelin sheath damage is more prevalent in northern latitudes, or away from the equator where people get less sun exposure. As well, myelin sheath degeneration is lower in those populations who eat cold water fish, even in northern latitudes – cold water fish is a rich source of vitamin D.
Dr. William E. Code firmly believes that vitamin D supplementation is one of the key pieces in his” recovery puzzle”. As well, Dr. Perlmutter describes that vitamin D has been shown to completely prevent the development of a multiple sclerosis-like disease in mice. When choosing a vitamin D supplement, be sure that it is vitamin D3 or cholecalciferol, which is the natural form of vitamin D (unlike vitamin D2 which is a synthetic and has 1000 IU of vitamin D). A liquid vitamin D supplement that has 5000 IU per serving is best, since liquid is fast absorbing. Vitamin B12 is involved in the formation of the myelin sheath, and profound deficiencies of vitamin B12 have been found in the blood and cerebrospinal fluid of patients with demyelination. Vitamin B12 has a very important role in the formation and function of myelin. According to Dr. Perlmutter, vitamin B12 deficiency not only enhances the destruction of myelin during an exacerbation of symptoms, but it also compromises the ability of the body to repair the damaged myelin after the attack. There can be a functional deficiency of vitamin B12 even though your blood tests show normal levels. A more accurate way to measure B12 levels is to test for the chemical homocysteine. If homocysteine is elevated, then B12 is considered to be functionally deficient, even if the blood levels show otherwise. According to James Balch, M.D., lecithin may help to strengthen the myelin sheath. Lecithin is one of the important building blocks for neuronal membranes, the area of the brain cells where cell to cell communication takes place. Lecithin has been part of complementary treatment programs for myelin sheath support for decades. Lecithin can help improve memory performance and is a source of phosphatidyl choline from brain and nerves. Glutathione is a vital brain chemical that is one of the most important brain antioxidants. That is, glutathione helps to preserve brain tissue by preventing damage by free radicals. According to William E. Code, MD and Multiple Sclerosis survivor, glutathione levels in the body are an indicator of health and how long a person will live. By the time you have a serious chronic disease such as a neurodegenerative disorder, chronic fatigue syndrome or even cancer, your glutathione levels are seriously depleted. Glutathione has been found to be substantially reduced in almost all patients with neurological disorders. According to Dr. Code, by the time you've been officially diagnosed with a neurological disorder, the body’s cellular glutathione is only 5% of what it should be. Supplementing glutathione either intravenously, with liposomal glutatione or with glutathione precursors such as non-denatured whey protein powder can have remarkable effects. In his book “Who’s in Control of Your Multiple Sclerosis – Pieces of the MS Recovery Puzzle”, Dr. Code stresses that optimizing glutathione levels is a very significant piece of the puzzle for the person with multiple sclerosis. In his words, “I feel that raising my glutathione levels is one of the biggest pieces – 30% - of my own MS recovery puzzle. It could have a similar benefit in your MS journey." Glutathione is a supplement that is extremely difficult to absorb. Most oral supplements are worthless, because the digestive tract destroys the nutrient before it can be absorbed. Supplements such as NAC can help your body make more glutathione, but the effect is mild. This is why intravenous therapy was once considered to be the only therapy that really works. Another excellent supplement that helps to raise intracellular glutathione levels is non-denatured whey protein powder. Whey protein powder contains NAC in its natural form as well as glutamine, both which are glutathione precursors. This means that it can help the body produce its own glutathione, and have been proven to raise intracellular glutathione levels. Protein powder is an extremely easy, effective, safe and nutritious way of giving the body the nutritional building blocks to promote glutathione production. Important Tip: Since glutathione is a vital antioxidant and therapeutic agent, we highly recommend both liposomal glutathione and non-denatured whey protein powder to optimize glutathione levels inside the cells. Glutathione also optimizes the body’s use of other important antioxidants such as CoQ10, alpha lipoic acid, and vitamins C and E.
Myelin sheath degeneration is widely believed to be an autoimmune process in which the white blood cells attack the myelin sheaths as if they were a foreign substance. Stress and malnutrition (poor diet) often precede the onset of symptoms. There is also a hereditary factor involved. It is currently thought that exposure to a virus or to chemicals or toxic metals may be launching the autoimmune process in susceptible individuals. The levels of mercury in people with MS has been found to be an average of 7 times higher than those in healthy people. Mercury has been shown to bind to the DNA of cells and cell membranes, causing cellular distortion and inhibited cell function. Many experts suspect that mercury poisoning is behind many types of neurological disorders. Some people react to amalgam dental fillings (the chief source of mercury exposure for most people in the United States) with symptoms that are indistinguishable from those of Multiple Sclerosis. “Recently, much controversy has surrounded a claim that aspartame may produce an MS-like syndrome… Aspartame contains the excitotoxin aspartate as 40% of its molecular structure. Numerous studies have shown that consuming aspartame can significantly elevate the excitotoxin level in the blood... When aspartate (as aspartame) is combined in the diet with monosodium glutamate (MSG) blood levels are several fold higher than normal. As you can see from the above, reducing the load of toxins on your body from both heavy metals and food chemicals is imperative for people with neurological disorders. This means eliminating preservatives, additives, food colorings, artificial sweeteners, monosodium glutamate (MSG) and artificial flavorings. It also means reducing exposure to airborne chemicals, such as perfumes and tobacco smoke, household chemicals, and pesticides and insecticides. Drink only filtered water, and prepare and store food in inert containers only (not plastics). Avoid toxic metals such as mercury and aluminum. For more info on how neurological symptoms may be affected by toxins, click here. The reason hair is used for testing mineral status and metabolic activity is because of it very nature. Our hair is formed from clusters of specialized cells that make up the hair follicle. During the growth phase, the hair is exposed to the interal environment such as blood, lymph and extra-cellular fluids. As the hair continues to grow and reaches the surface of the skin, its outer layers harden, locking in the metabolic products accumulated during the period of formation. This biological processs provides a blueprint and lasting record of metal content and nutritional metabolic activity that has occured during this time. Introducing The Comprehensive Hair Analysis by Trace Elements, Inc.
"I just wanted to say Thank You for the comprehensive [hair analysis] report. I have MS and have felt bad for a long time. I got this report and it made much more sense than all of the normal bloodwork my Drs are coming back with. Thank You, Thank You, Thank You. I don't feel so crazy any more. I am passing your info onto ALL of my friends and family! I really appreciate the site and the information you provide." Several scientists suspect that the North American diet, which is high in cholesterol, alcohol and saturated fats and low in essential fatty acids, leads to a production of prostaglandin 2, which promotes an inflammatory response and worsens symptoms of myelin sheath damage. This may explain why myelin sheath damage is more common in the United States and Northern Europe and almost unheard of in some other countries such as Japan, Korea and China. People in Asian countries consume much less fat than people in North America and northern Europe. Their diets are much richer in marine foods, olive and fruit oils and seeds, which are a rich source of essential fatty acids, and which have an inhibiting effect on the inflammatory response. A good fish oil is molecularly distilled should be guaranteed free of mercury and other heavy metals, PCBs and other toxins. They use a nitrogen flush to remove the oxygen, which means there is no opportunity for oxidation to occur. This means that it is completely fresh and pure and has no fishy taste or odor. The adults and children dose over age 7 is one teaspoon per day. It is best to take your fish oil one hour before bedtime, as the omega-3 fatty acids suppress cytokines that disturb sleep. A popular theory among scientists is that neurological disorders are caused by a virus or some other latent infection. Dr. Perlmutter states that at least 16 infectious agents have been identified as possibly causing myelin sheath degeneration, with the organism chlamydia pneumoniae topping the list. Possibly, myelin sheath degeneration is caused by a combination of factors, with the infectious agent somehow causing the formation of antibodies that attack the myelin. Dr. Perlmutter suggests antibiotic therapy for chlamydia pneumoniae using doxycycline 100 mg twice daily for 14 days. In addition, you could try the nutritional supplement colloidal silver, which has been proven to in a major university study to kill every pathogenic strain of bacteria that it was tested against. What makes it even more remarkable is that colloidal silver has the ability to differentiate between the harmful bacteria in your "gut" and the beneficial bacteria which it leaves alone. The overgrowth of candida albicans, a fungus found in our bodies, is also suspected in playing a role in myelin disorders. Recent studies point to a possible link between neurological disorders and candida infection. Treatments to reduce candida have been found to significantly reduce symptoms experienced by many people with myelin sheath degeneration. There are many excellent supplements to reduce candida infections, including colloidal silver and grapefruit seed extract. Grapefruit seed extract comes from, you guessed it, the seeds of grapefruits. GSE is such an inexpensive and powerful antifungal that it is used by citrus farmers in Florida to effectively kill mold on their farming implements. For more info on controlling candida, click here for our candida report. Vitamin E is a potent antioxidant, and is necessary when essential fatty acids are used to keep these delicate oils from becoming oxidized. Vitamin E also supports other brain antioxidants like vitamin C and glutathione. Use a mixed complex such as Unique E® which includes the entire vitamin E complex. You want a vitamin E that provides the synergistic benefits of a complete natural complex of d-alpha, d-beta, d-gamma and d-delta tocopherols. According to Dr. Perlmutter, alpha lipoic acid is emerging as one of the most powerful brain antioxidants available, and he states that alpha lipoic acid is a key nutrient in myelin sheath support since it crosses the blood/brain barrier. Studies over the past 30 years have shown that Calcium AEP is essential for nerve impulse generation and muscular contractions. Calcium AEP is one of a number of colamine phosphates - vitamin-like metabolites. It is a unique form of calcium. It has been shown to be effective in supporting numerous autoimmune conditions, in particular multiple sclerosis. This product is an essential factor for cell membrane integrity and cell sensitivity. It binds fatty acids and electrolytes to the cell membrane structure that generates the cell’s electrical charge. 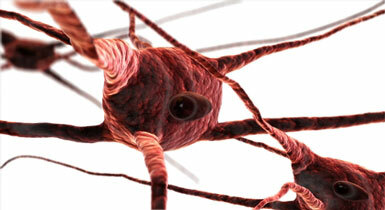 Click here for their excellent article on Multiple Sclerosis . Life Extension is a global authority on nutrition, health and wellness as well as a provider of scientific information on supportive natural therapies. They offer only the highest quality nutritional supplements, including minerals, vitamins, herbs and hormones. Sign up for their Life Extension Membership Discounts program and receive 25-50% off all purchases and toll-free health advisory support. Thank you for visiting our page Symptoms of Myelin Sheath Degeneration and Multiple Sclerosis!